Safeguarding practices have become the norm in society for organisations dealing with children and vulnerable adults, to ensure all are kept safe from harm, trauma and abuse, whether it be emotional, physical, or sexual. Within the Church everyone has responsibility for ensuring safe practices at all levels. Safeguarding practices apply to all volunteers, employees, priests, religious, lay pastoral leaders and any one in ministries that involve children, young people or adults who may be vulnerable. 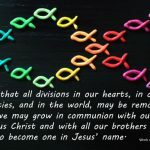 The National Office of Professional Standards (NOPS) is a partnership between the New Zealand Catholic Bishops Conference and the Congregation Leaders Conference of Aotearoa New Zealand. It develops and audits Church safeguarding policy and practice and responds to complaints of abuse that may have occurred within the Church. 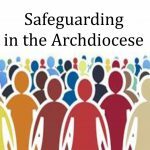 Following consultation with the six dioceses last year, NOPS has developed a set of documents about Safeguarding. These are being adopted by all dioceses and religious orders to ensure consistency of approach across the country. Code of Conduct for Employees and Volunteers. 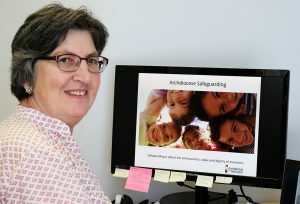 The Archdiocese of Wellington has formally adopted the National Office for Professional Standards’ new safeguarding policies, standards and code of conduct. These policies and standards will apply to everyone in the diocese: clergy, religious, employees and volunteers. Processes are underway to put these in place across the Archdiocese, starting with a series of training workshops to start in parishes in March this year. Two workshops on safeguarding and child protection will be provided in all parishes this year and will be open to everyone in the parish. Pastoral team members, Pastoral Council members and key volunteers will be required to attend. The training will provide guidance and tools to support the implementation of the safeguarding policies in parishes. There will be an additional child protection workshop for those whose role and responsibilities require more extensive knowledge. Cardinal John Dew has appointed Brendy Weir as the Safeguarding Adviser for the Archdiocese. Brendy has many years’ experience as a child protection social worker and a senior adviser for child protection in the government sector, and more recently working for Catholic Social Services as a social worker. Brendy will lead the workshops and will guide and support parish and chaplaincy leadership teams on how to implement the new policies. At the workshops, she will provide resources and facilitate discussion about any Safeguarding questions at the workshops. The workshops will include the following topics. What is abuse and what’s it’s impact? What to do if someone says they’ve been harmed. Know who to consult and when. How the Archdiocese will support you. Your role in building a stronger culture of safety. Practical guidance with resources and tools. How to make a complaint or report concerns. Last year, Brendy and Lesley Hooper (Adviser, Royal Commission and Historical Complaints) visited several parishes to talk about safeguarding concepts and to learn about parishes’ progress in this area. Brendy also held a trial workshop in October about child protection. The trial workshop involved various people working with the Catholic Centre. 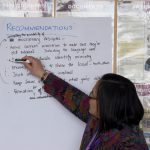 Participants’ feedback and recommendations will be incorporated into the 2019 training workshops.